The paper entitled "An Effective Approach for Detection of Sarcasm in Tweets", authored by Sreelakshmi K and Rafeeque P C, published in proceedings of International CET Conference on Control, Communication, and Computing (IC4), held at CET Trivandrum during July 05 – 07, 2018. SANDHINI S of M.tech Computational Linguistics , 2016-18 batch got placement for the post of Fellow, ICFOSS at Trivandrum. 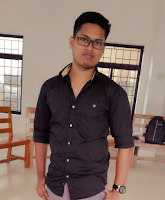 About the Company: ICFOSS is the outcome of a decade of work by Free Software enthusiasts, advocates, developers and supporters in the state of Kerala and outside. ICFOSS carries out a number of FOSS-related activities in a model that brings together Academia, Industry, Government and the FOSS Community. Activities of ICFOSS presently includes R & D; Support to FOSS software development; FOSS Pilot Programs; technology assistance to Government programs and institutions; Local Language computing; Student FOSS activities; Internet Governance; Studies on FOSS; Exploring FOSS Certification; and Capacity Building of students to enter the FOSS Community. 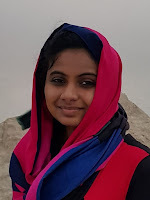 Simple Groups congratulates Sandhini for her achievement!! 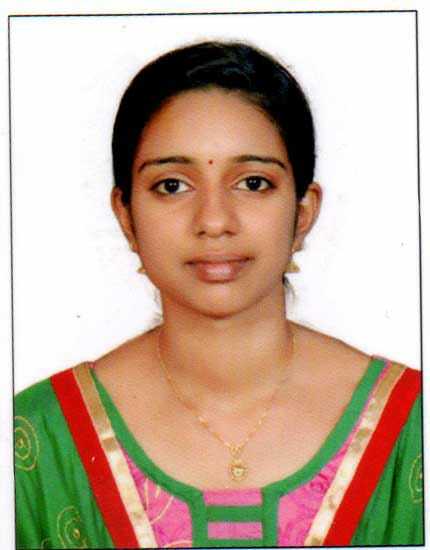 UMA E S of M.tech Computational Linguistics , 2016-18 batch got placement for the post of Assistant Professor, Cochin College of Engineering and Technology (CCET), Valanchery. About the College: CCET offers the entire stream of engineering courses for the students to opt up to their preference and aptitude. The students are provided with six Undergraduate Programmes and four Postgraduate Programmes. Simple Groups congratulates Uma for her achievement!! 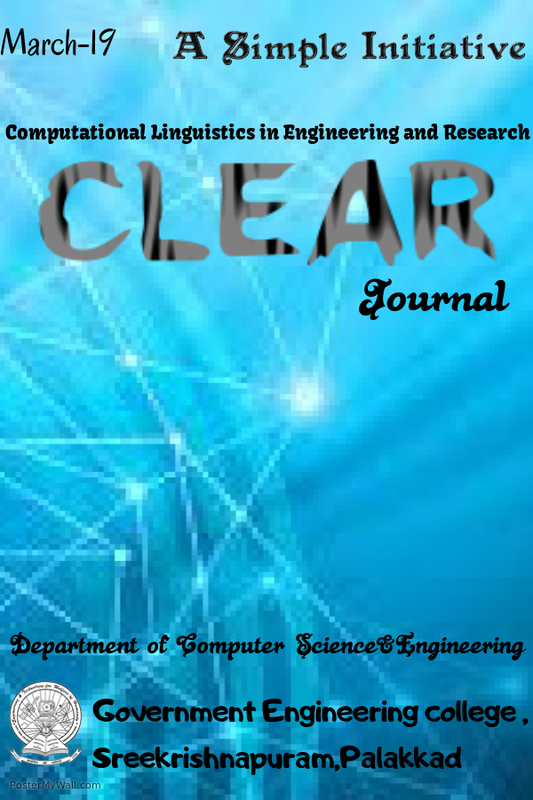 The paper entitled "Clustered Semantic Graph Approach for Multi-document Abstractive Summarization", authored by Fathima Shabana K and Naseer C published in International Conference on Emerging Trends and Innovations in Engineering and Technological Research (ICETIETR 2k18 ISBN No 978-1-5386-5743-0). SIMPLE Groups congratulates Shabana for her achievement!! The paper entitled "Translating Natural Language Sentences into Database Query", authored by Varsha E published in International Conference on Emerging Trends and Innovations in Engineering and Technological Research (ICETIETR 2k18 ISBN No 978-1-5386-5743-0). SIMPLE Groups congratulates Varsha E for her achievement!! 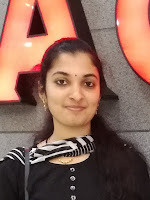 The paper entitled "Replacing Idioms based on their Figurative Usage", authored by Fathima Shirin A and Raseek C published in International Conference on Emerging Trends and Innovations in Engineering and Technological Research (ICETIETR 2k18 ISBN No 978-1-5386-5743-0). 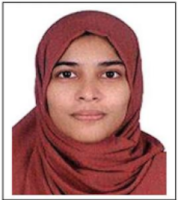 SIMPLE Groups congratulates Fathima Shirin for her achievement!! The paper entitled "Extraction of Relationship between Characters in Narrative Summaries", authored by Nijila M and Kala M T, published in International Conference on Emerging Trends and Innovations in Engineering and Technological Research (ICETIETR 2k18 ISBN No 978-1-5386-5743-0). SIMPLE Groups congratulates Nijila for her achievement!! The paper entitled "Lexical Simplification of Complex Scientific Terms", authored by Silpa K S and Irshad M, published in International Conference on Emerging Trends and Innovations in Engineering and Technological Research (ICETIETR 2k18 ISBN No 978-1-5386-5743-0). SIMPLE Groups congratulates Silpa for her achievement!! 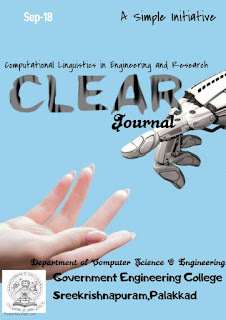 The paper entitled "Convolutional Neural Network Based Simile Classification System", authored by Manjusha P D and Raseek C, published in International Conference on Emerging Trends and Innovations in Engineering and Technological Research (ICETIETR 2k18 ISBN No 978-1-5386-5743-0). SIMPLE Groups congratulates Manjusha for her achievement!! 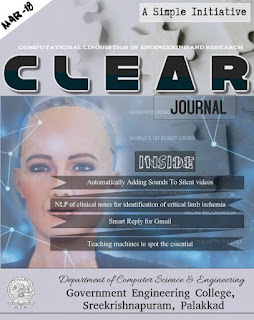 The paper entitled "Convolutional Neural Network with Word Embedding Based Approach for Resume Classification", authored by Shabna Nasser, Sreejith C and Irshad M, published in International Conference on Emerging Trends and Innovations in Engineering and Technological Research (ICETIETR 2k18 ISBN No 978-1-5386-5743-0). SIMPLE Groups congratulates Shabna for her achievement!! About the Company: UVJ Technologies (A Calpine Group Enterprise) is developing business opportunities in the domains of medical biotechnology, industrial biotechnology and clinical research services. They are providers of instrumentation, supplies software and services to life science and chemical analysis markets. The mission of UVJ Technologies is to contribute to the quality of life by providing innovative analysis products and services to its customers. Simple Groups congratulates Rahul for his achievement!! 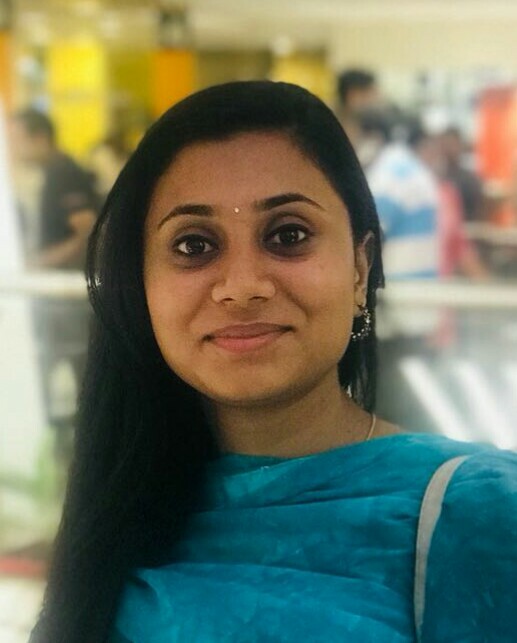 The paper entitled "Keyphrase and Relation Extraction from Scientific Publications", authored by Anju R C, Sree Harsha Ramesh and Dr. Rafeeque P C, published in Springer as part of the Advances in Intelligent Systems and Computing book series (AISC, volume 705). SIMPLE Groups congratulates Anju for her achievement!! Simple Groups congratulates Shruthy for her achievement!! 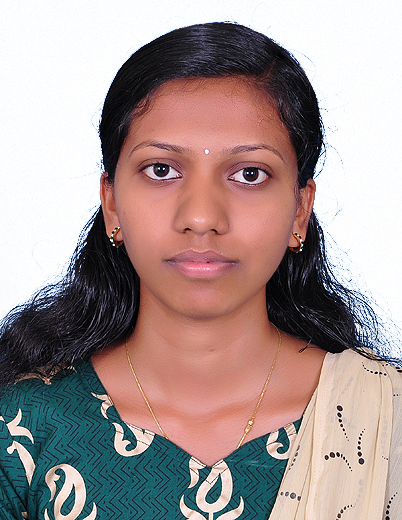 Suneera C M of M.Tech Computational Linguistics, 2014-2016 batch has been selected for Ph.D at NIT, Calicut. Simple Groups congratulates Suneera for her achievement and wish her a bright future!!! 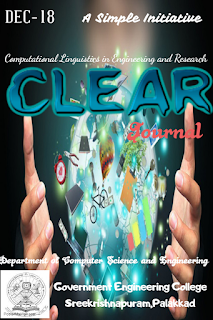 This is the Twenty-Fourth issue of CLEAR Journal. 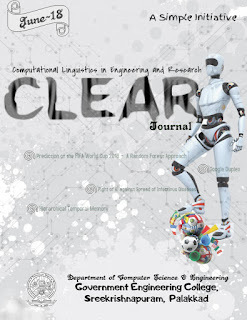 This issue contains articles on the following topics "Prediction of the FIFA World Cup 2018 – A Random Forest Approach with an Emphasis on Estimated Team Ability Parameters" , "Google Duplex" , "Fight of AI against the Spread of Infectious Diseases" , "Hierarchical Temporal Memory". The next issue will be in September 2018. Simple Groups congratulates Varsha for her achievement!! About the Company: SysG Soft is a Project Management and Software Development company with 10 years' experience, 100+ experts, and operations in Ireland. They started their journey in 2008 with a vision to deliver flexible and web-enabled business applications using latest technologies. The clientele of SysG is based out of UK and Ireland and their satisfaction is the cornerstone of their strategy. Simple Groups congratulates Jenny for her achievement!! Simple Groups congratulates Nasreen for her achievement!! About the Company: ElkanIO is a young start-up based research lab focused on Machine Learning and Robotic Process Automation combined with AI and Natural Language Processing.The research activities are primarily focused to develop solutions that can combine Machine Learning with Computer Vision. Simple Groups congratulates Nayana for her achievement!! 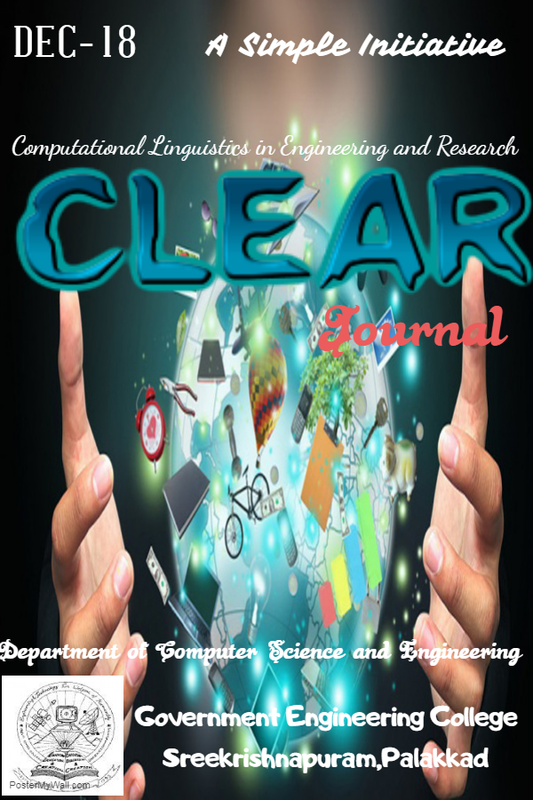 This is the Twenty-Third issue of CLEAR Journal. 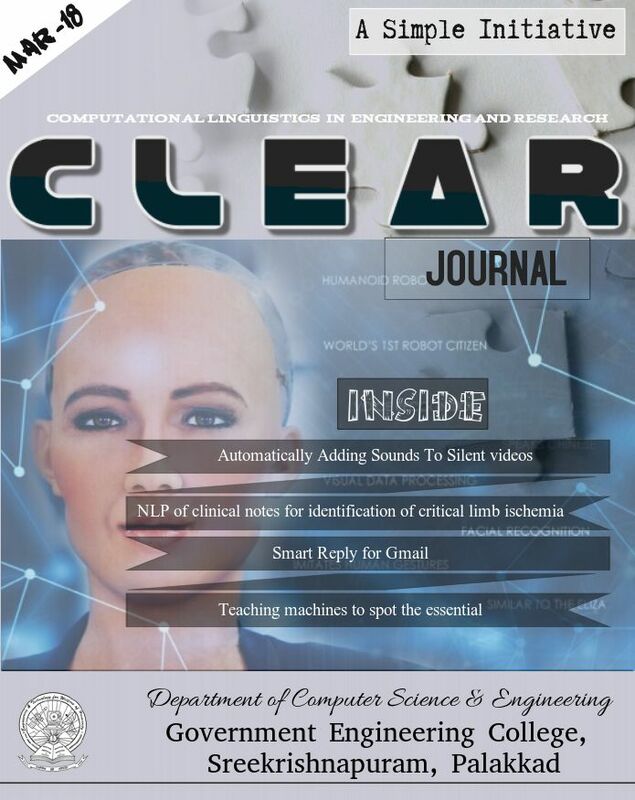 This issue contains articles on the following topics "Teaching Machines to Spot the Essentials", "Smart Reply for Gmail", "Natural Language Processing of Clinical Notes for Identification of Critical Limb Ischemia" and "Automatically Adding Sounds to Silent Videos". The next issue will be in June 2018. 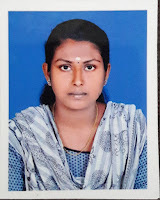 Reji Rahmath K of M.Tech Computational Linguistics, 2013-2015 Batch, qualified UGC NET (JRF) November 2017 Examination. Simple Groups congratulates Reji Rahmath K for her achievement and wish her a bright future!! !